Travel through some of Scotland’s most photographed and filmed attractions with a private local guide at your side. 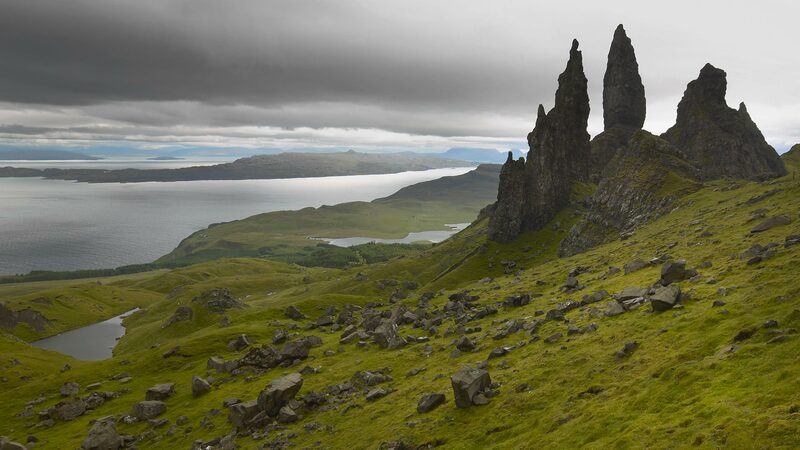 Visit ancient castles used as movie backdrops, experience the myth-inspiring beauty of Loch Ness and enjoy iconic views, like the Old Man of Storr, on the Isle of Skye. 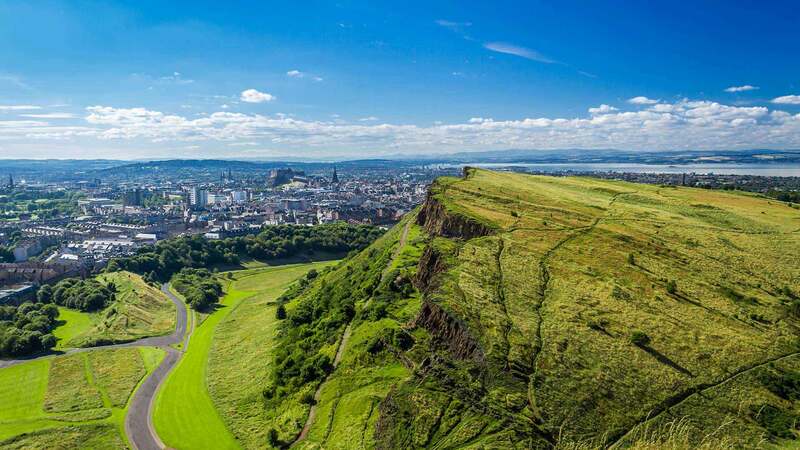 Enjoy a private city walk in Edinburgh, a comfortable ride around the Highlands, high-quality accommodations in each location and private airport transfers. Welcome to Scotland! Relax knowing that a private driver is waiting in the arrivals hall at Edinburgh Airport to assist with your luggage and take you to your deluxe city accommodation. Of course, at some point we recommend leaving the comforts of your room to go out and explore the charms of Edinburgh. Whether it’s history, music, art, architecture or lush gardens you’re after, you’ll find it all within the compact city centre. To get a feel for your surroundings you might wish to take a walk down Princes Street with views towards the Old Town across the Princes Garden. For fine shopping and dining, check out the Multrees Walk by St Andrews Square or the George Street area of the New Town neighbourhood. Enjoy a whole day of delving deeper into Edinburgh’s culture and history, starting with a private walking tour of the Old Town. Walking the narrow, cobbled streets with an expert local guide, you’ll hear the lesser known tales of Edinburgh’s ancient history, while exploring hidden closes, courtyards and secret gardens. After the tour we highly recommend walking up the Royal Mile to the towering Edinburgh Castle and for the whisky enthusiasts, a visit to the Whisky Experience for a wee dram. You may also wish to experience a Scottish “high tea” at one of the fine tea rooms in the city before enjoying a nice dinner at one of the many great restaurants in the city. Enjoy a full breakfast at your hotel before your private guide. 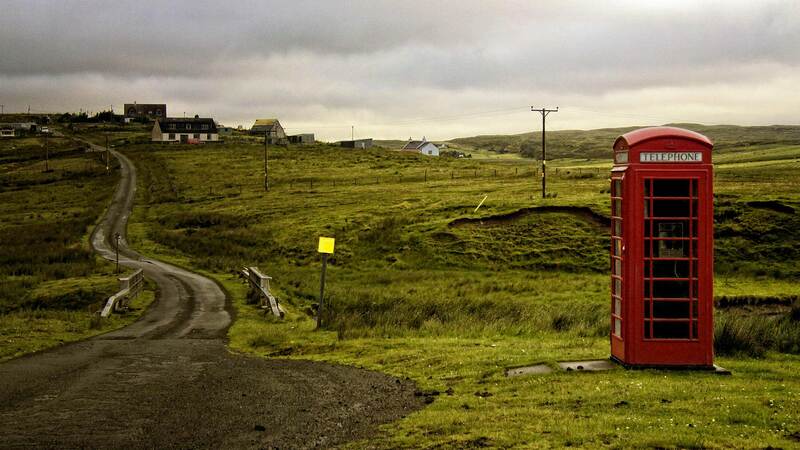 A Scottish local comes to pick you up for the start of your journey into the highlands. 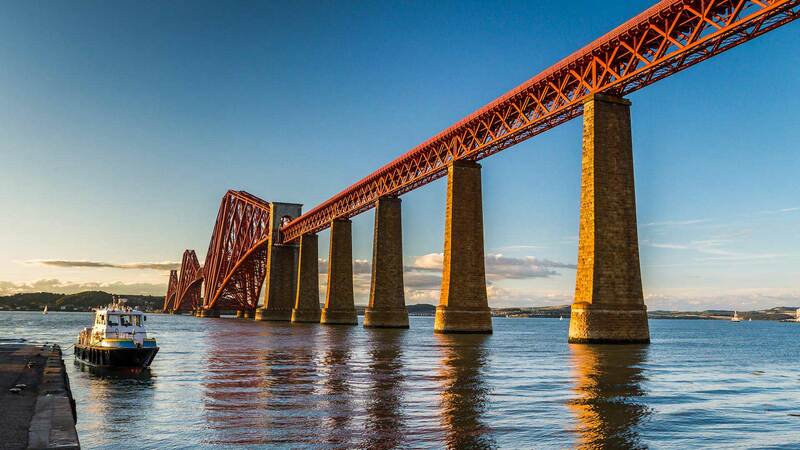 The first stop on our journey is a scenic viewpoint to admire the Forth Railway Bridge, listed as a UNESCO World Heritage site in 2015. Next on the journey is Doune Castle, which you might recognize from films like Monty Python and the Holy Grail and TV series including Game of Thrones (“Winterfell Castle”) and Outlander (“Castle Leoch”). In the charming town of Callander we’ll take a break for coffee before heading to the Pass of Glencoe and enjoying a short walk in the wilderness. This should ensure that we’re hungry for lunch at the ClaigHaig Inn, which serves great local food with a stunning backdrop—it was a film location for the Harry Potter movie Prisoners of Azkeban! The last stop today before reaching our destination is the Spean Bridge Commando Memorial, a fabulous viewpoint. 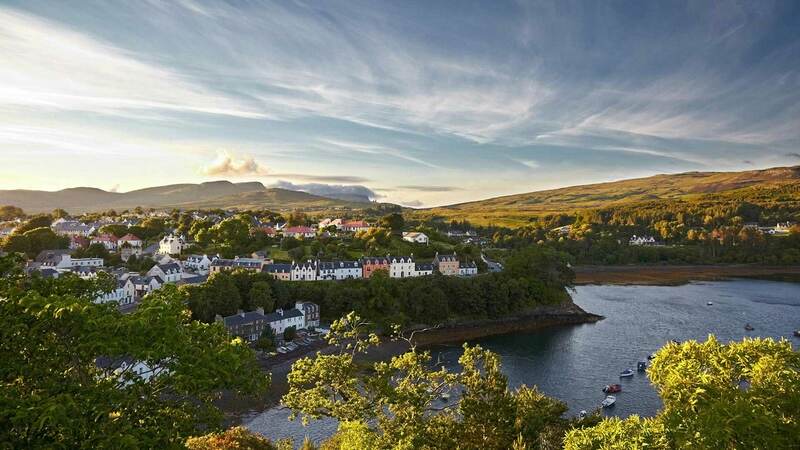 You’ve heard all about the magic of Skye, and now today you get to finally experience it. 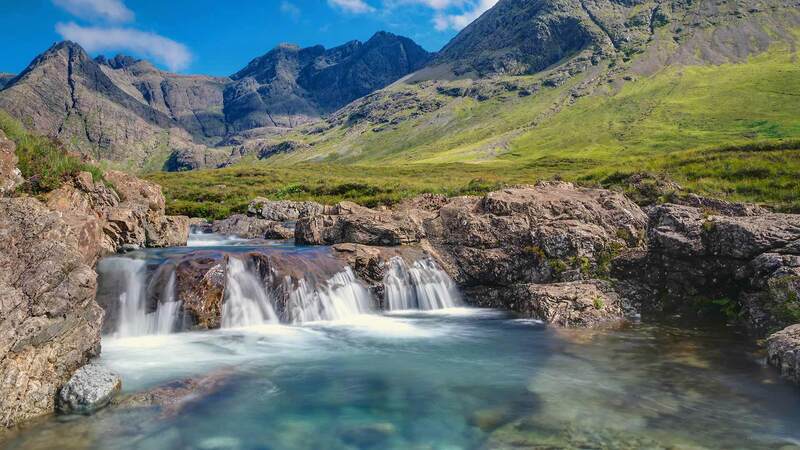 We’ll start with a scenic drive around the Trotternish Peninsula, where we’ll be able to take in such sights as the Falls of Lealt, Kilt Rock, The Old Man of Storr, the Quirang and the Fairy Glen. With the craggy landscapes, misty skies and dramatic coastline, it’s clear to see why this isle was used as a filming location in such movies as Prometheus (2012) and MacBeth (2015). 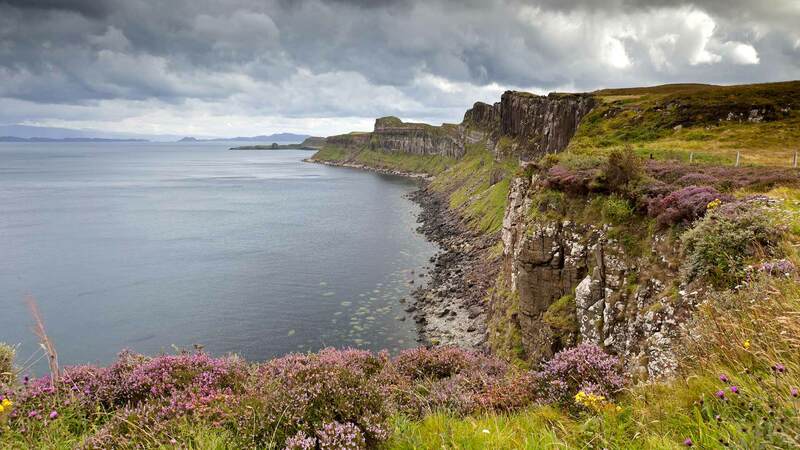 For lunch we’ll head to the oldest inn on Skye, followed by a visit to the Skyeskyns traditional sheepskin tannery and a scenic afternoon walk on Neist Point, the most westerly point of the island with a beautiful cliff-top lighthouse. This is a day you’ll get plenty of use from your camera! 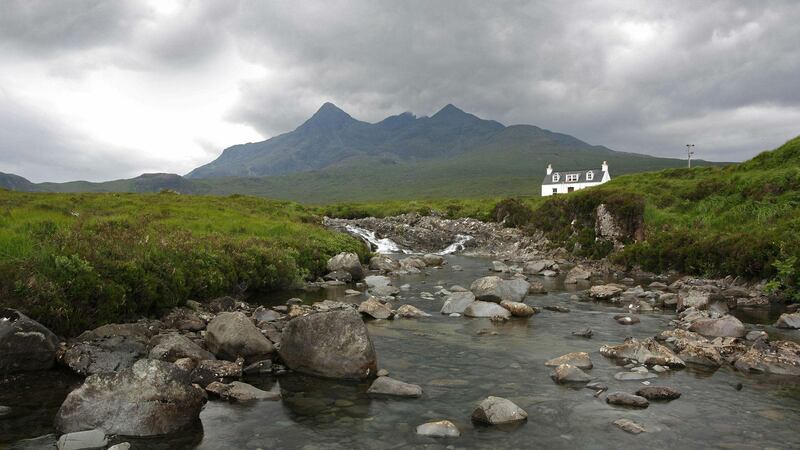 Spend another night on the Isle of Skye. Heading back to the mainland today we’ll have time for a photo stop at Eilean Donan, the most photographed castle in Scotland. 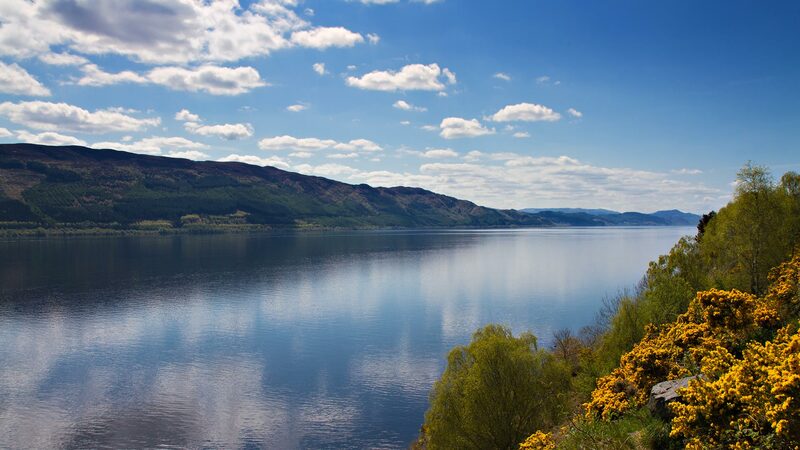 We´ll then continue to the mystical Loch Ness, the home of the elusive Loch Ness Monster and enjoy a photo stop. Continuing south we’ll stop at the Dalwhinnie Whisky Distillery for a wee dram (what the locals call a shot) and then head through the Cairngorms National Park through the Victorian town of Pitlochry. Back in Edinburgh, you’ll have the rest of the evening at your leisure to enjoy Scottish dining and nightlife at its best. If your flight is in the afternoon, take this last opportunity for some souvenir shopping, a visit to one of Edinburgh’s museums or just relax at a café after your action-packed break. When it’s time to leave, a private driver will pick you up from your hotel and drive you to Edinburgh Airport. If you wish to spend more time in Edinburgh or Glasgow before or after the tour, ask your travel consultant about adding extra nights or services. We can also customize the tour and arrange private meet & greet service from other airports in Scotland on request. We can also extend your trip with other destinations in the Nordic region such as Iceland or Norway. Contact us for details about customizing your itinerary. We had a wonderful time on our private tour with Brian. He is an exceptional guide. He shared an extensive knowledge of Scotland, and made the country come alive. We saw more with him than we would have on our own, and we felt that he catered the tour to make sure that we saw what we wanted to see. We couldn't have been more pleased! The folks with Nordic were exceptional over all, and we look forward to booking another tour with your company in the future. Stephen was our guide for the tour and was a huge reason we give the tour high marks. Pleasant, knowledgeable, creative and conscious he found ways to make the sights and their history come alive. He is a great representative for you and for Scotland! I am telling all my friends about the excellent service and value i got from my tour with Nordic Visitor! Kerr was my travel guide. I was very lucky to get such a knowledgeable guide. I am proud to say i can call him my friend, and when i return i will ask for him by name! Our travel consultants are happy to offer you more information about the differences in Scotland’s travel seasons and the best times to visit based on your needs and interests. Extra nights can be added to this package, before or after the guided program.Contact us for details. We can arrange private airport transfers to/from Glasgow on request. Please contact us for details. Due to the exclusive nature of the accommodations, please contact us prior to booking so we can check availability. We highly recommend booking well in advance. We would provide a comfortable touring vehicle based on the size of your group. Depending on availability at the time of your booking, we could offer vehicles ranging from a 4x4 luxury car to a 16-passenger Mercedes mini-coach. Please contact us if you would like more information about the vehicles.